If you’ve ever wondered how best to clean your teeth after eating lunch, you’re not alone. Lots of my patients ask me this question, so in this post, I’m going to give you my expert advice as a dental hygienist. Why clean your teeth after eating? When we consume food and drink, the bacteria in our mouths thrive, attacking the enamel on our teeth. The food residue leads to plaque buildup in between our teeth and, if left untreated, this can lead to more serious oral health issues like bad breath (halitosis), gum disease (gingivitis) and cavities. Sugary and acidic foods weaken the enamel on our teeth, and if you brush immediately after you eat, you risk damaging it further. It’s best to wait at least 30 minutes if you want to brush your teeth after lunch, or any other meal. Acidic foods are citrus fruits and of course there’s lots of sugar in soda, sweets, cakes and biscuits. I’m sure you’ve heard this before, but eating a healthy diet really does helps keep your teeth strong! We need to protect the enamel on our teeth, but we also need to remove the food particles in between our teeth before they turn into plaque, or even worse, harmful tartar (hard plaque). Using interdental dental brushes to clean between your teeth is a super effective way to remove this residue, and keep your teeth and gums healthy. Thanks to some important studies, we now know that using interdental brushes is better than using floss. 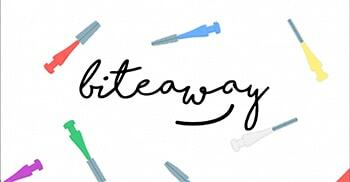 If you have to choose either brushing with a toothbrush or cleaning between the teeth after you’ve had a meal, (and lets face it, time is often a factor), I recommend cleaning with an interdental brush and mouthwash. 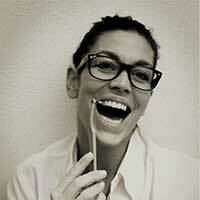 This is because plaque or tartar buildup in between the teeth can cause you some serious oral health problems. In hard to reach places like the back teeth, sometimes this buildup can go unnoticed. As we get older, if we brush our teeth too often (like after lunch), it can lead to gum recession and degrade the tooth enamel. We’re often time poor, so we brush hard and fast, which over the years, causes teeth defects. That’s why I recommend interdental brushes and mouthwash for cleaning your teeth after lunch over using a toothbrush. Another thing you can do after you’ve eaten lunch is to give your tongue a quick clean with a tongue scraper. 60% of your mouth bacteria live on your tongue, so to keep your mouth healthy and your breath fresh, it’s a good idea to keep that in check to. All you do is scrape from the back of the tongue to the tip with the rough edge of the tongue scraper, and give it a rinse. So my professional answer to the question you were searching for is YES. 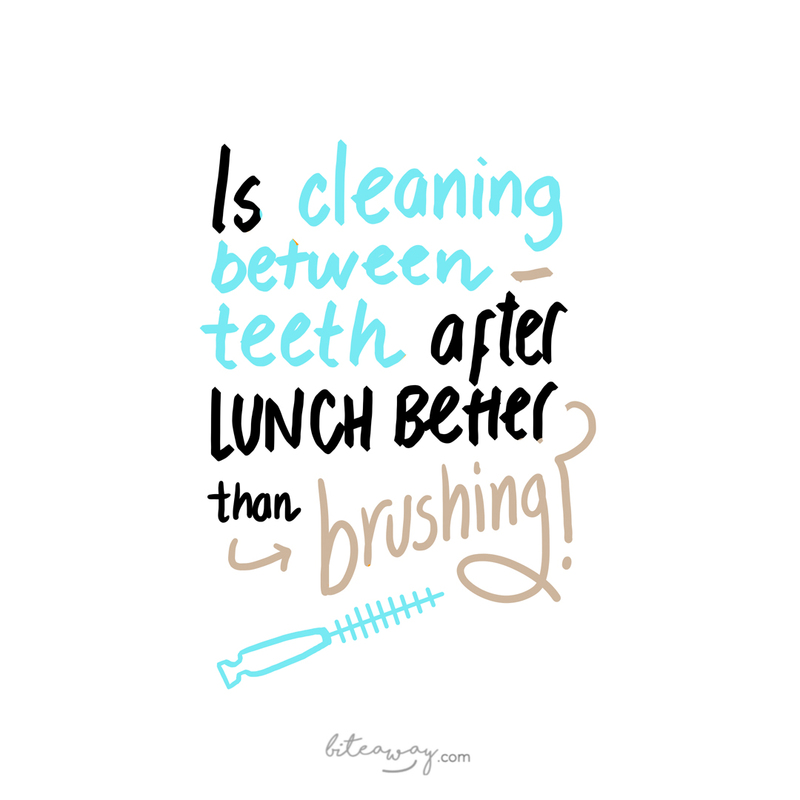 Cleaning between your teeth after lunch is better than brushing. But, there’s nothing to stop you doing both. Just don’t brush too hard with your toothbrush. You need to look after your tooth enamel because it doesn’t grow back!